Squamous cell carcinomas make up the great majority of malignant tumors of the oral cavity. There is no unanimity as to the preferred method of treatment of oral cavity carcinoma. Depending on the policy of the institution, the primary cancer is treated either surgically or by radiotherapy. In locally advanced tumors the common practice is to apply radiation therapy as a pre- or postoperative adjuvant to surgical resection. Solid evidence to support the validity of this combined approach, however, is lacking. 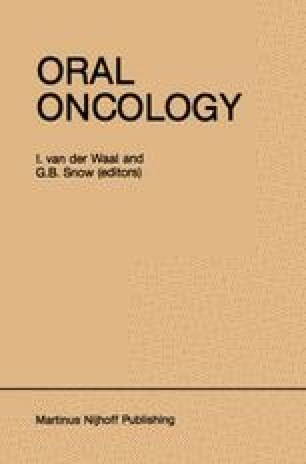 Although chemotherapy and to a minor degree immunotherapy have received much interest over the last decade, their role in the management of oral cancer has yet to be defined. Treatment of metastatic neck nodes has traditionally been by surgery, although elective irradiation of the neck has been recommended for the management of occult metastasis.